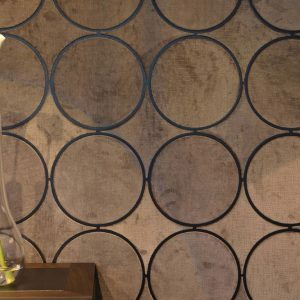 When furnishing our homes, we always try to reach harmony, to make each item in the room match all the others. It often turns out to be a tricky task. Of course, many companies offer pre-selected sets of furniture, but what if you like, say, a table but don’t like the form of chairs in the set, for example? The way out is to select the piece of furniture you really like and search for the ones that match it. Bellavista Collection is a perfect place to search for them. 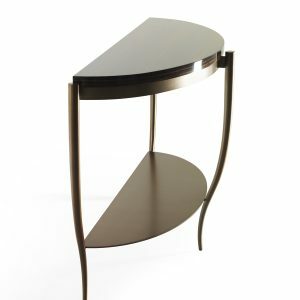 This well-known Italian brand offers a great selection of Italian luxury furniture, as well as lots of other things indispensable for interior design. Lighting fixtures, boiserie, mirrors, various decorative elements and many more – all these articles you will find at Bellavista’s website, along with a rich selection of top-quality furniture. Beautifully designed and made of high-quality materials, many of the items in themselves look like pieces of artwork. When browsing web pages at Bellavista Collection’s website, you will certainly notice how charming some of the pieces look together. Do you love board games so much that feel like having a gaming table in your living-room? If yes, LAS VEGAS table is definitely what you are looking for. This masterpiece of a gaming table was created in 2018. Fully equipped for playing chess and checkers, card games and backgammon, it will quickly become your favorite. Your friends will appreciate it as well! But playing table games means that you are going to spend long time in a seated position. So, LAS VEGAS needs a proper chair to match. It should not only agree with the table in design, but also be comfy indeed. Well, look at a chair named CLAIRE from Bellavista Collection. Isn’t it gorgeous? Claire looks much like an armchair and feels as cozy as an armchair. Its wraparound seat, comfortable armrests, leather or fabric upholstery (it’s up to you to choose) make CLAIRE resemble a compact armchair. But this dining chair is even better, because it better fits the purpose. Armchairs are very cozy but rather low: usually, their seats are from 40 to 44 centimeters high. It means that you will have to make extra effort each time you are reaching the gaming table. CLAIRE’s seat is 49 centimeters (19.3 inches) high, which is high enough for playing at LAS VEGAS (we mean gaming table) comfortably. It makes CLAIRE an ideal match for LAS VEGAS. What is more, they truly look great together. Also, you can consider MASARYK chair, seat height of which is just slightly lower – 48 cm (18.9 inches), or BICE (47 cm, or 18.5 in). There is one more option, which is really luxurious-looking: an armchair VICTORIA with the seat adjustable for height. Created in 2018, VICTORIA is a fresh addition to the collection. With its upholstered armrests, comfortable back, elegant dark-colored moka stained ashwood base and feet, this armchair appears worthy of a big boss. Each dining table from Bellavista is a telling example of beautility, i.e. they all combine beautiful design with being very handy to use. Take a look at, say, SAN FRANCISCO dining table. Structure and top of this stylish-looking table are available in nine kinds of wood, both of natural color and stained. Customers are free to choose among grey larch, American walnut, dark stained walnut, moka stained walnut, natural oak, champagne stained oak, grey stained oak, smoke stained oak, and moka stained oak. The feet and details are made of brass with antique bronze finish, giving SAN FRANCISCO a touch of originality. 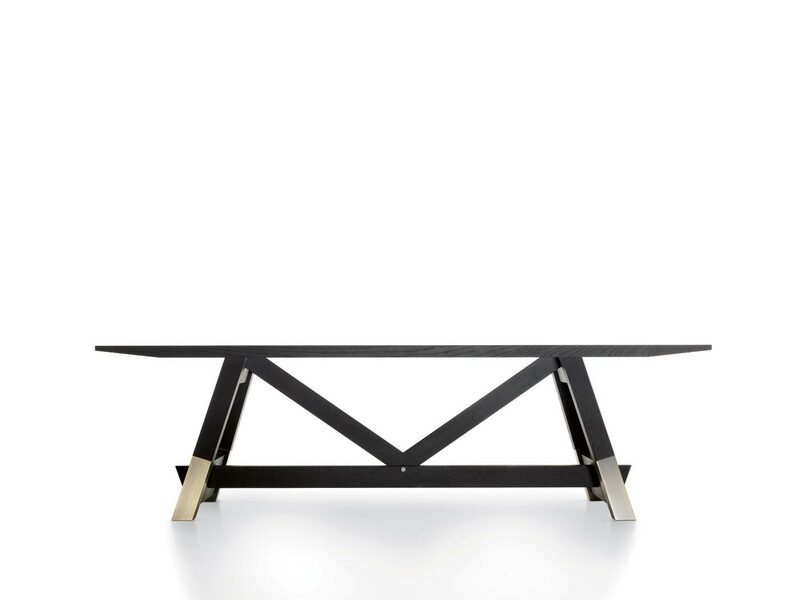 What is more, this table is available in three sizes to suit any dwelling, from a small studio to open plan apartment. Depending on your choice, your SAN FRANCISCO dining table can be 220, 250, or 300 centimeters long (86.6, 102.4, or 118.1 inches respectively). Other dimensions remain the same: all three are 75 cm (29.52 in.) high and 105 cm (41.3 in.) wide. As for the chairs to match, Bellavista offers a number of good choices. What about MASARYK chair we already mentioned? Upholstered in fabric or leather with decorative stitches of matching color, this dining chair looks impressive. It is really comfortable to sit on: its seat is 58 cm (22.8 in.) wide and 60 cm (23.6 in.) deep. The structure of MASARYK chair is made of attractive moka stained beechwood; if you wish, it will be supplied with arms made of brass with an antique bronze finish. Along with respectable-looking MASARYK, Bellavista has a number of other chairs that will well match SAN FRANCISCO table. Chic ANGELINA WOOD and ANGELINA LEATHER BACK, modest but elegant and cozy MARGOT – all they will make a pretty dining ensemble with SAN FRANCISCO table. Perfect Match #3: Sweet Dreams! While furnishing a bedroom, we not only try to create a homey space – we care for how it looks as well. When choosing a bed, we choose the place we are going to spend one-third of our lives in. That’s why it will be reasonable to choose the one of the prime quality -like AMLETO bed from Bellavista, for example. 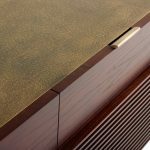 Slats of the bed frame are padded in fabric; the bed structure can be upholstered in either fabric or leather. Brass details are optional, and so is CABECERA headboard that is supplied by request. CABECERA headboard looks grand indeed, but if you wish, you can choose another one. STRENG headboard also fits well with AMLETO bed. The headboard’s base is made of dark-colored moka stained beechwood. Decorative stitches look very nice on fabric or leather upholstery of this headboard, and optional LED makes it even more convenient to use. 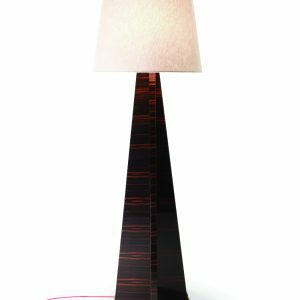 It is worthy of note that the entire collection can be called a brainchild of Attilio Zanni, an extremely gifted Italian designer and Bellavista Collection’s co-founder. Maybe that’s why these pieces mix together so well.